We have based this formula on research limited to laboratory experiments, current medical practice, and some anecdotal evidence. However, extensive human clinical trials are required to help support the use of this formula. Buy 1 for $19.48Buy 2 / Save $1.04!Buy 3 / Save $3.90! The positive benefits of graviola, a fruit from the amazon rainforest, are confined to in vitro and animal studies; while it remains uncertain whether or not graviola is effective in humans, as clinical trial are necessary, the laboratory results, thus far, are intriguing and graviola is definitely worthy of further study. 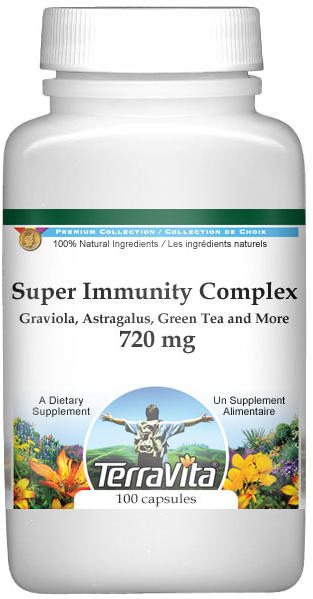 Astragalus may act as an immune enhancer.